Reading Time: 2 minutes The vExpert vSAN program is a specific VMware vExpert (sub)programs focused on the vSAN product. The idea to have specialized groups of vExpert was to bring again (like at the origins) the vExpert program as an “elite” program. After the vExpert vSAN 2016 and 2017 lists, now VMware has just announced the vExpert vSAN 2018 new list. I was honored to part of this list again, and that’s pretty exciting, considering that I’m there from the first list. Reading Time: 3 minutes This year the vExpert 2018 announce has take much time compared with the the vExpert 2016 announce, or also also the vExpert 2017 announce. But finally has arrived, with some changes from the past years (not only for the delay, but also with the list that has been reduced). And also this time I’ve been confirmed as a vExpert. Note that “vExpert” is not a technical certification or even a general measure of VMware expertise, it’s much like an award. Reading Time: 2 minutes Veeam has announced the Veeam Vanguard 2018, actually only by email. The official list is still outdated with 2017 names, but probably there will be several renewal and some changes. The Vanguard program represents Veeam brand to the highest level in many of the different technology communities. It’s a program around the community of Veeam experts that truly get our message, understand our products and are our closest peers in IT. For several aspects, like the VMware vExpert or Microsoft MVP program, where the communities contribution is one of the main aspect. Reading Time: 3 minutes Nutanix has announced the new list of Nutanix Tech Champions (NTC) 2018. NTC is a community award, started on 2014, similar to others programs like VMware vExpert, Microsoft MVP, Cisco Champions, EMC Elect, … rewarding members of the community on their efforts in sharing their knowledge and enabling fellow community members. The Nutanix Technology Champion program spans the globe and is comprised of IT professionals from every cloud, application group, and technology. They are committed to news ways of thinking that will power the next generation of enterprise computing. Reading Time: 3 minutes After the VMware vExpert vSAN 2017 and VMware vExpert NSX 2017 awards, this year a new vExpert category has been added: the VMware vExpert Cloud. Like for other technologies vertical, these vExperts has demonstrated significant contributions to the community and a willingness to share their expertise with others. Contributing is not always blogging or Twitter as there are many public speakers, book authors, scriptwriters, VMUG leaders, VMTN community moderators and internal champions among this group. 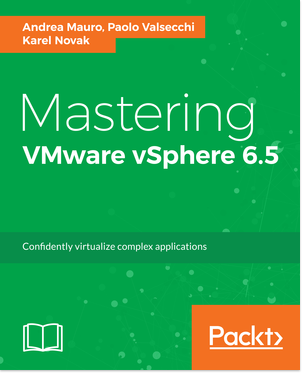 Reading Time: 1 minute One year ago, VMware has started new vExpert (sub)programs on different technologies. One was the vExpert vSAN. I was honored to part of the first list. 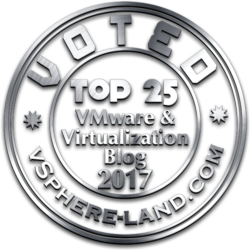 Now the list for 2017 vExperts who received the vSAN award has been published. The program is build upon the vExpert program. To apply you must be a current vExpert as well as evangelizing VMware Virtual SAN. There will be an application once per year for each of the sub-programs. Reading Time: 1 minute One year ago, VMware has started new vExpert (sub)programs on different technologies. One was the vExpert NSX and I was honored to part of the first list. Now the list for 2017 vExperts who received the NSX award has been published. The program is build upon the vExpert program. To apply you must be a current vExpert as well as evangelizing VMware NSX. There will be an application once per year for each of the sub-programs. Reading Time: 2 minutes How many VCP or VCAP people there are in the world and how many for each country? This is a not simple question, because of the lack of an official list of names. The only list that is keep updated is the VCDX directory, but you will not found something similar for other VMware’s certifications. At the beginning of VCAP exams, there was a unique serial ID, so was easy guess those number for VCAP (and potentially also for VCP, because there was also a unique sequential ID for all VCPs). 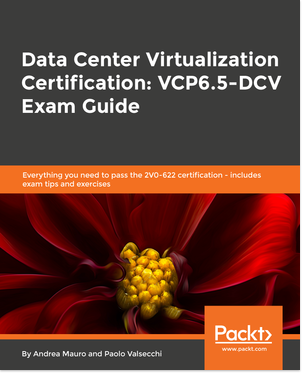 Reading Time: 6 minutes The VMCE-A1: Design & Optimization V1 (VMCE-A1) exam is the second requirement to acquire the Veeam Certified Architect (VMCA) designation, after the VMCE-A: Design & Optimization V1 traning. Compared to VMCE exam is more costly, but it’s also another level. The exam must be taken at a Pearson VUE local testing facility with a time extention (30 minutes) for not native english (based on the Country of the testing center). Total time (without time extention) it’s 70 minutes, but it’s not a huge constraint. Reading Time: 6 minutes Is the right time to invest in some new certifications cloud oriented? Probably yes, but which one? There are different types of cloud computing, with different types of services but also in different way to consume them. All private cloud services are already covered by exisiting product certifications and does not change too much (maybe just in the name of the certification). The only difference is that private clouds are not just an on-prem virtual infrastructure (virtualization is not cloud computing) but has management tools to provide better automation, agility and self provisioning.